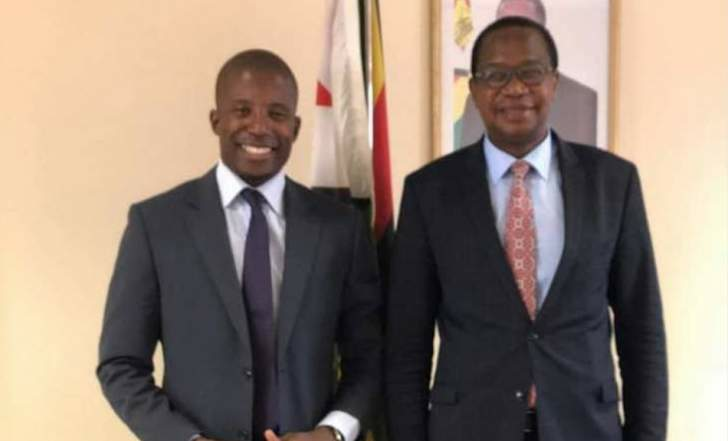 Finance and Economic Development Minister Professor Mthuli Ncube yesterday officially fired Mr William Mutumanje (Acie Lumumba) as chairman of the Ministry's Communications Taskforce barely a week after his appointment. Minister Ncube wrote to Mr Mutumanje yesterday informing him his appointment was inappropriate. The appointment of Mr Mutumanje drew brickbats from society with questions raised over his credentials to run the high-profile portfolio in the ministry. "On the 19th of October 2018 you were engaged by the Ministry of Finance and Economic Development as chairman of the Ministry Communications Taskforce," wrote Minister Ncube. "New information has come to light over the appropriateness of the appointment. This letter serves as a notification of the termination of the contract with immediate effect." Minister Ncube advised Mr Mutumanje to seek clarification on the matter from Permanent Secretary in the Ministry of Finance and Economic Development, Mr George Guvamatanga. He wished Mr Mutumbanje well in his future endeavours. The Ministry of Information, Publicity and Broadcasting Services on Monday also communicated the position on its Twitter handle. "The Minister (Mthuli Ncube) would like to inform the public that he does not have a spokesperson outside institutions of Government. Regarding the 'Communications Taskforce' he is yet to operationalise it as he is dealing with requirements of PRAZ and Civil Service Commission," said the ministry Minister Ncube appointed Mr Mutumanje head of the Communications Taskforce in the ministry last Friday.